Chromecast Audio, Google’s dongle that turns a speaker into a WiFi-ready tune shed, is receiving a big update this week with two major features. Actually, the update should start arriving today with hi-res audio support and the ability to play music to multiple rooms in a house, assuming they all have Chromecast Audio devices in them. With hi-res audio, Google is hoping to deliver 96KHz/24bit lossless audio playback, which is technically “higher-than-CD-quality” sound that can be played through your currently-owned speakers. As for the multiple room magic, Chromecast Audio has essentially taken on the Sonos approach to music, where you can play music throughout a home, all controlled from a single phone. If you have multiple Chromecast Audios, you can group them together to play the same music at the same time everywhere. This is all controlled from the Chromecast app on your phone, but you can also setup guest access to allow anyone at your house with a phone to become a DJ of sorts. 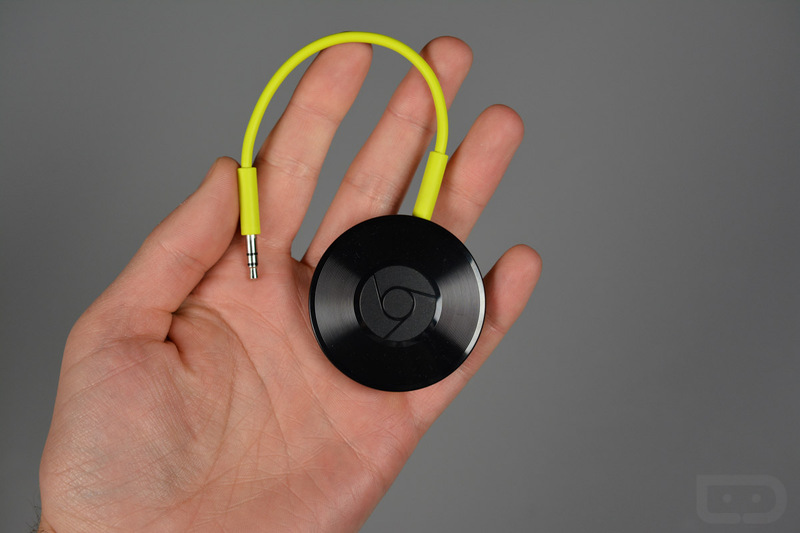 The update should happen in the background, but you’ll need to grab the latest Chromecast app to start playing.